The Online Admission Application System receives application online systematically through various steps. The instructions and procedure mentioned in the portal will guide the applicant through the application process with ease. The admission process starts from registration with online payment and thereafter proceeds through five steps which the applicant needs to fill in with valid information to complete the admission process successfully. At each stage of admission procedure, SMS and E-mail alert has been integrated for the convenience of the applicant. 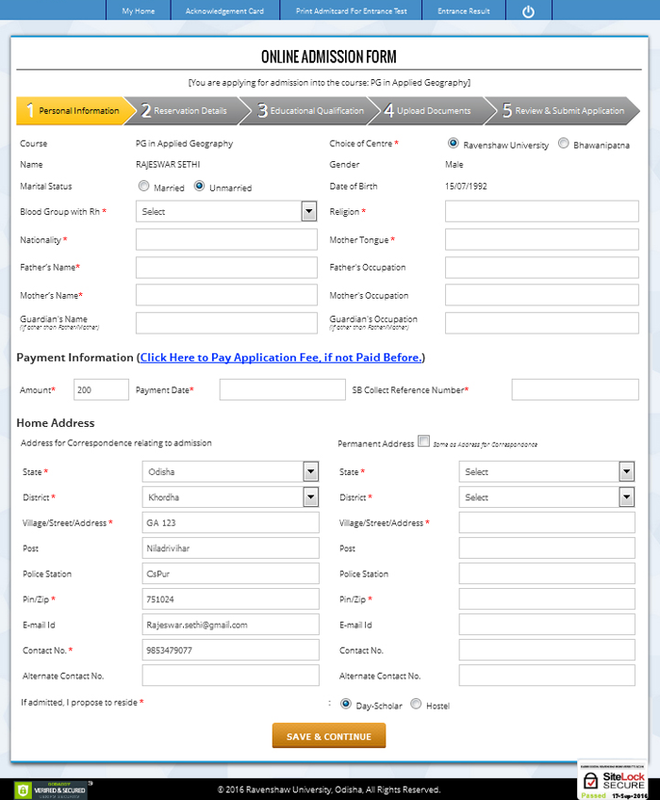 All India On-Line have deployed the E-Admission Application in major University of Odisha. Our team is well equipped with technology and tools to serve our customers efficiently. We provide services of development, support and maintenance of E-Admission portals.